The longtime homey Miguel Rockwell recently invited me on his super dope podcast series, The Biggest, and the episode is up now for y’all to check out. I really enjoyed this convo with Mike and his cohost Joe “HawkinsBird” Hawkins, who Mike affectionately refers to as “the most redundant man I’ve ever known.” They’ve been recording some great conversations with all sorts of folks in the Seattle hip-hop scene, so it was an honor to sit down with them and chop it up. There’s all sorts of random Hyphen-related trivia sprinkled in here as we completely nerd out about random topics. This is probably the most you’ll ever hear me talk, so you’ve been warned! Enjoy! When we announced that I would head to London for much of 2015, a few folks asked me if we’d still be able to do SNSS since J. Moore and I would be almost 5k miles apart. To me, someone who started reading sports news when I was 10 years old off “Gopher,” an online protocol that eventually lost out to “http” in the early stages of the internet (aka WAAAAAY back), I never had a doubt that we’d stay in sync. The underlying goal of the entire tech industry over the last 20 years (aside from this) has been to connect every corner of the world via zeros & ones. Safe to say, we’re good. And I don’t even have my Apple Watch yet. Instead, I looked at this as an opportunity to take SNSS even more international than we have already. Yes, we have dedicated listeners from around the globe and already play international artists, but now we have a man on the ground in Europe. One who even likes to write about himself in the third person, at times. I’m not “discovering” artists here, but I am able to help connect the dots and bridge the gap further. If Jay-Z can send his cousin to Nigeria, we can send Hyphen to London. If I’ve learned anything while here, it’s that music, and the love/passion certain people have for it, is somehow even stronger than I ever thought. Good music knows no boundaries: physical, mental, spiritual. For evidence, look no further than this week’s SNSS episode, a veritable Goodwill Games of good music: NYC (De La Soul, Nas, Dipset), Cali (E-40, Kendrick, Duckwrth, Dam-Funk), Australia (Ta-ku), the Netherlands (Mar), the UK (Natalie Duncan)…hell, we even ran a Baltimore themed remix of MJ’s classic “They Don’t Care About Us,” featuring Dilla’s Detroit soul, mixed together by a Seattle OG. And we can’t forget our friendly neighbors to the north, Canada, for our obligatory Drake cut, plus a gem by newcomer Alessia Cara. I was told this show marked her first ever radio spin, so when she’s on top of the game in a few years…you already know. Last, but not least, J. Moore was joined in the studio by Young Fathers, a group from Edinburgh, Scotland, drawing roots from Liberia, Ghana, Nigeria, and Maryland. Their eclectic mix of hip-hop, R&B, pop, funk, reggae, and rock defies those labels and represents the potential of where music is headed. Everywhere, every time, everything. No boundaries, just you and the art. Vibe to it however you see fit…and when we come back next week, let’s talk about 10 years of SNSS, k? Cleaning up and organizing my archives today and I came across these videos of our Studio 93 interview with Big Sean from 9/11/13. As he mentioned at the beginning of the first video, Sound Session gave Sean one of his first major radio interviews and we’ve been homies ever since. One of the coolest and nicest dudes in the biz. It’s always a ton of fun to chop it up with him. We never posted it or blasted it out since the production value is pretty much non-existent. A year later, it’s obviously older content, but it’s still a fun discussion that has some interesting insight from Sean on his music and life. It’s something that belongs in the SNSS library here on TAOD. This week’s Sound Session was another good one. We played new records from Run The Jewels, Big K.R.I.T., Logic, Esta, Drake, Miguel, Mansions On The Moon, Nas (Dilla! 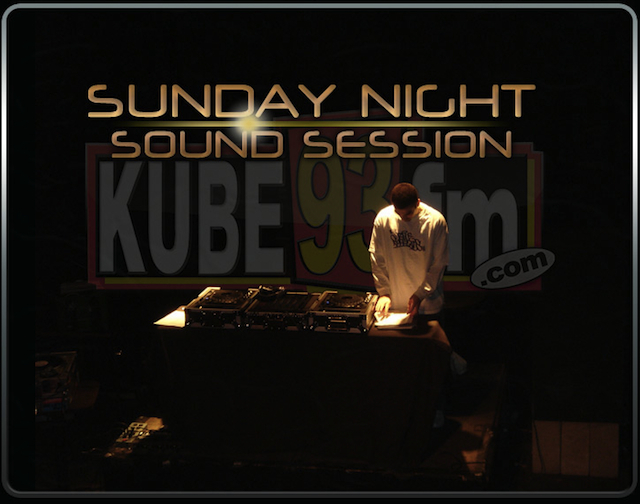 ), Janine and the Mixtape, denitia and sene, Black Milk, 14KT, and more. Plus, our homey Russ called in to talk about all the buzz he’s been making over the past year or so and what it’s like to be on the verge of really breaking through to the masses. Watch out for this kid…labels are circling like vultures. On this week’s SNSS episode, we filled the show with a ton of great music from the likes of Joell Ortiz, Joey Bada$$, Fashawn, Dom Kennedy, Childish Gambino, Logic, Diamond D, Nottz, Kendrick Lamar, Mary J. Blige, Jessie Ware, Tinashe, ODESZA, Gorgon City, Broods, and more. Plus, Cozz called in, fresh off the heels of his Cozz & Effect album to talk all about the project, his background, his relationship with J. Cole, how he ended up signing with Dreamville, and more. If you just want to peep that interview, you can check it right here. On top of all that, we were joined in the second hour of the show by Anna Lunoe, a singer/producer/DJ from Sydney, Australia. Anna played the Neptune Theater earlier in the evening and then dropped by the studio to co-host with us and talk about her new EP, All Out. We played a couple tracks off it (the excellent title track and a crazy record with Jesse Boykins III) and then learned a bit about her experiences as an artist coming up in Australia and how she fell in love with music. It was a really enjoyable conversation (if you want to peep just the parts with Anna, click here) and the whole show had a great vibe. Hope y’all enjoy it! One of the best writers in hip-hop, one of our favorite artists, and one of our best friends, the incomparable Shad, visited Sound Session to speak with J. Moore and I recently. We discussed a variety of topics, exploring what it’s like coming up in Canada making his style of music, winning the Rap Juno Award (Canadian Grammy) over his countryman Drake, and how he chooses to promote himself in the US market. He also spoke about his last album, Flying Colours, and his plans to take the follow up project in a new direction, before running through a lightning round of questions covering 90’s sit-coms, left handed basketball players, his favorite sneakers, and more. I’ve said it before and I’ll say it again: Shad represents everything I love about hip-hop and I cosign literally every song/message he’s put out into the world. Very talented, very humble, and very intelligent, I wish more artists would follow in his footsteps. 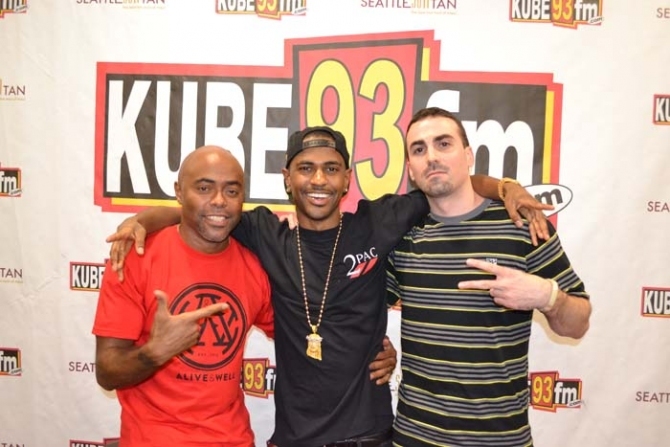 Problem traveled up the west coast from L.A. to Seattle and dropped by the KUBE 93 studios to chop it up with us for Sound Session on 9/10/14. We discussed his background, how he originally started by producing on a PlayStation, how he started rapping for chicks, and how he developed arguably the best ad-lib in rap (WHAT!?!). After talking about his past, he spoke on his upcoming album, “Karma,” and Diamond Lane Music Group’s strategy to make it his biggest release yet. And as you might expect with a passionate LA native, the conversation ended with Problem explaining why Kobe is the greatest Laker of all time and who’s better, Kobe or MJ. Big shout to Problem and all of Diamond Lane Music Group, plus the First Ladies for shooting/editing! When you start going through the list of producers that also rhyme on the mic, you’ll actually come up with more names than you might expect. That said, our homey Black Milk is definitely right there near the top of the list. Milk’s been dropping great music for years now and we always enjoy catching up with one of our favorites when he comes through town. On this appearance on Sound Session, he spoke specifically on his peers that both rap and produce, and the advantages that handling everything yourself affords you as a MC. He’ll continue to take matters into his own hands by releasing If There’s A Hell Below on his own Computer Ugly label later in the year, and Milk talked in depth about the project, including revealing his guests. Other topics included the state of mainstream rap production over the years, the temptation of compromising his sound and how he stays true, his desire to work with Earl Sweatshirt, and more. Shout to Black Milk, Rosalinda, and the First Ladies. What up doe! Big shout to Lupe for calling in on last week’s episode of SNSS. We chopped it up about his role as Musical Director on the US Men’s National Soccer team, working on music with Clint Dempsey, and his new “Next To It” single. FNF UP! Along with Kendrick Lamar, we sat down with another one of our favorite artists at KUBE’s Summer Jam last week, the one and only Big K.R.I.T.. We’ve had Young Krizzle on the show a few times before and he never disappoints. This time, he spoke about his upcoming Cadillactica album, the criticism he received for Live From The Underground, and the differences in his creative process between mixtapes and albums. K.R.I.T. also revealed he’ll be working with other producers on Cadillactica and gave us some insight on the tips they shared with him in the studio. Among other topics, he ended by discussing the motivation behind his “Mt. Olympus” track, the South’s ongoing battle for lyrical respect, and the feeling of when fans connect with his music and support it on a deeper level. Shout to K.R.I.T. and Dutch for the love, as always, and the First Ladies for filming/editing!